Dr Jengo's World: New Altair Figure Spotted! As we wait for news on Assassin's Creed 5 and who would be our newest Assassin, out pops an Altair figure from nowhere.. This figure looks quite similar to the coveted Crouching Altair figure but has notable differences, and of course an elaborate base. The new figure is also a lot more detailed than the previous one. 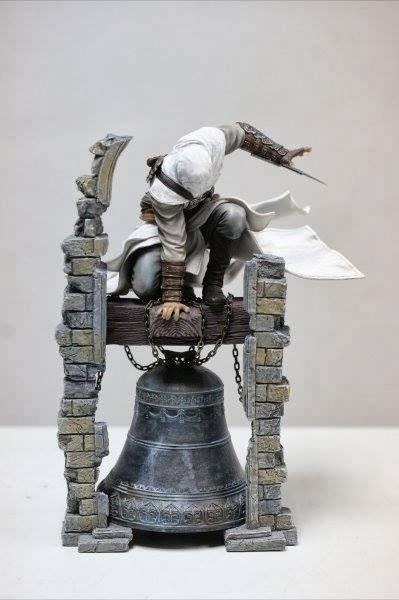 Looks like it's made from UbiCollectibles so it will fit right in with the other Assassin Statues from the same line. It's scheduled to be released on 15 Sep 2014, which is just a month or so before the expected release date of AC5. 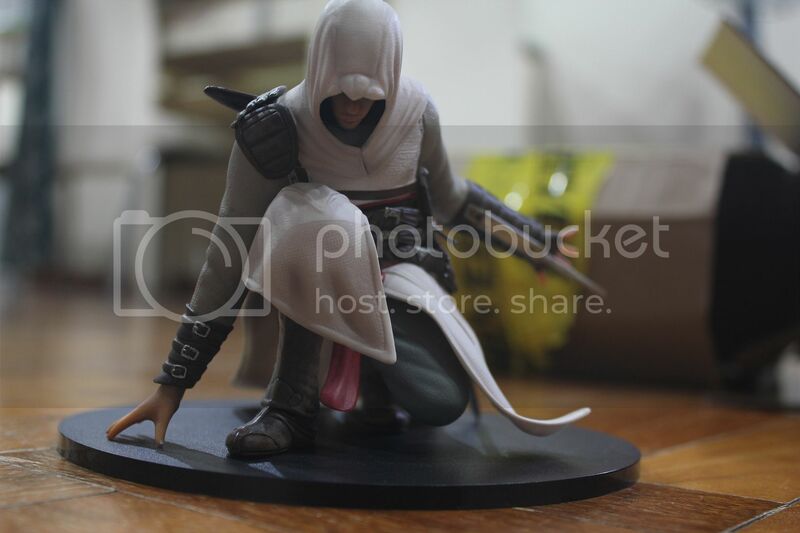 So, is this Altair figure a result of UbiCollectibles listening to their fans for a cult favourite or are there other reasons why we are using Altair again? The rumours of 2 AC games to be released this year haven't been officially squashed and Ubisoft are remaining unusally quiet about what we should expect. Will we be visiting Altair once again in one of the games? Of course, it makes good marketing sense to release this, just before the new game, but who knows? Nothing is known, Everything is possible..